On July 19, 1805, Lewis and Clark and the Corps of Discovery canoed upriver and entered a spectacular gorge with cliffs rising up 1,200 feet. The Corps had entered the Gates of the Mountains. By August 12, 1805, the Corps of Discovery reached the headwaters of the Missouri River after traveling 15 months and 3,000 miles. Lewis climbed to the crest of Lemhi Pass hoping to see the river that could take them to the Pacific Ocean. Instead, he looked out on row upon row of snow-capped mountains. He later learned from the Salish Indians that the Lolo Trail leading up to and over Lolo Pass was the best way to cross the mountains. North of Helena on I-15. 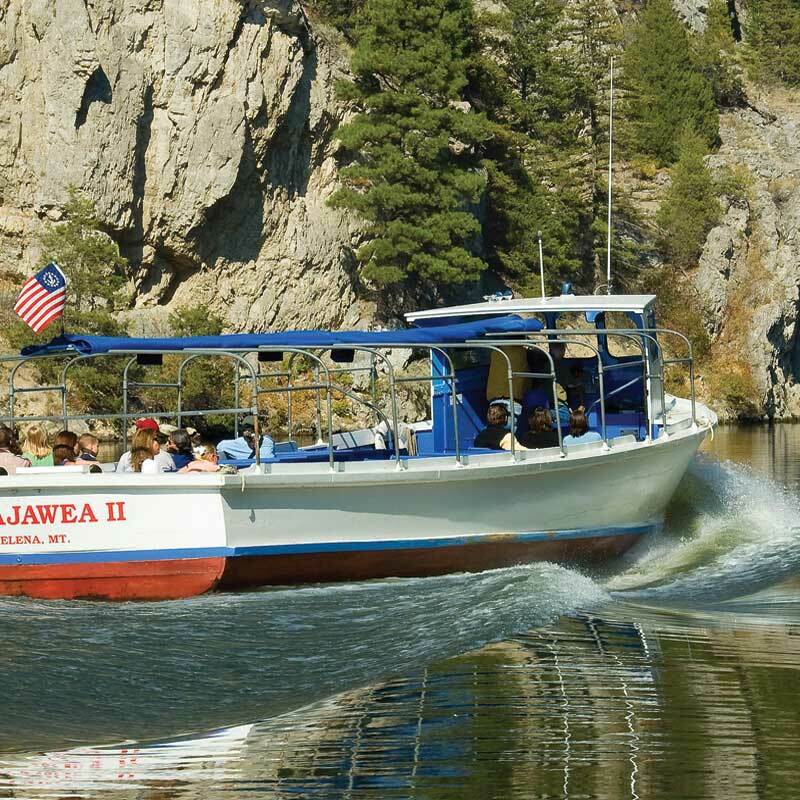 Today’s travelers can board a tour boat to relive the Corps’ voyage through the Missouri River Canyon with imposing 1,200-foot high cliffs and great wildlife viewing. On I-15. Helena is Montana’s Capital City and traces its history to the 1864 discovery of gold at Last Chance Gulch. The capitol dome is covered with copper and Main Street is still known as Last Chance Gulch. The Montana Historical Society Museum has a superb collection of C.M. Russell art as well as Native American art and exhibits. Other exciting attractions and activities are also available, including the Great Northern Carousel, the original Governor’s Mansion, and St. Helena Cathedral. 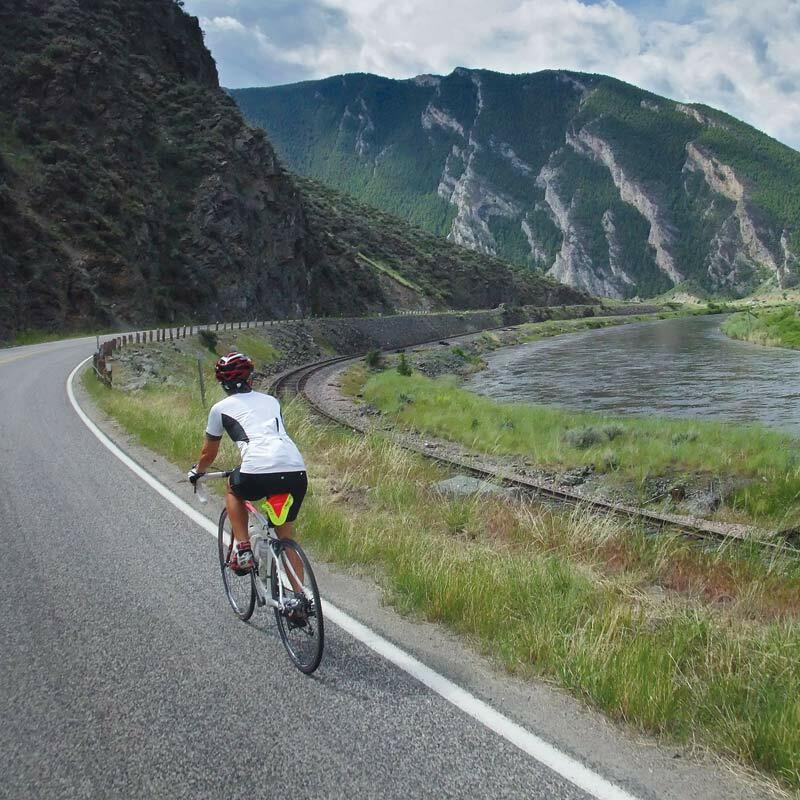 Find year-round outdoor activities and some of Montana’s top recreation areas at the Canyon Ferry Reservoir east of Helena. On I-90 and US 287. Lewis and Clark named the Jefferson, Gallatin and Madison Rivers at the headwaters of the Missouri River. The town of Three Forks features the Headwater Heritage Museum, and three state parks are nearby: the Headwaters of the Missouri River, the Lewis and Clark Caverns, and the Madison Buffalo Jump. On 1-15. Lewis and Clark met with the Shoshone Indians at Camp Fortinate, now submerged under Clark Canyon Reservoir 20 miles south of Dillon. Here Lewis and Clark secured horses to cross the Bitterroot Mountains, thanks to Sakakawea who served as interpreter and was a member of the Agaidika (Lemhi) Shoshone tribe. 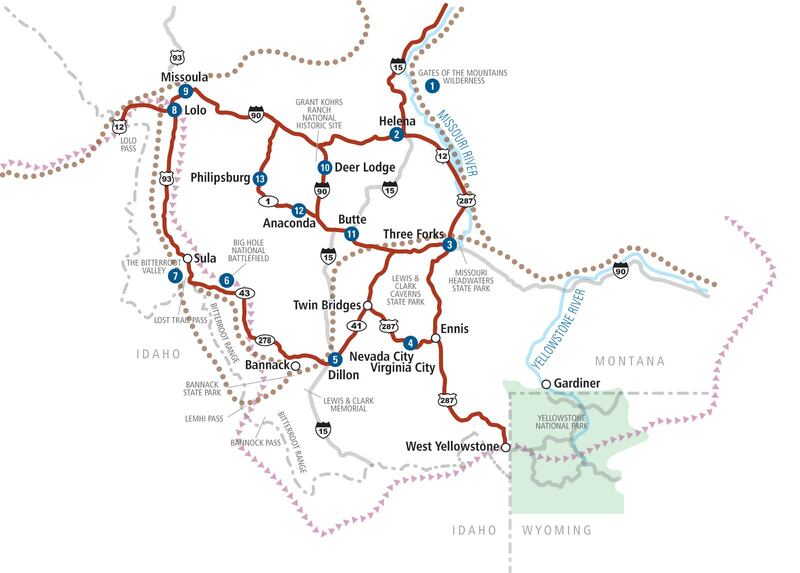 Dillon has a Visitor Center, County Museum, Beaverhead Rock, Clark Lookout State Park and the lemhi Pass National Historical Landmark which chronicles events that ultimately led to the Corps crossing the Continental Divide. Nearby is Bannack State park, a well-preserved ghost town and the first territorial capitol of what became Montana. near Sula. Finding the the Lemhi Pass troo difficult to cross and the Salmon River’s rapids too dangerous, the Crops of Discovery proceeeded north on horseback and dropped down into the Bitterroot Valley at Sula where they secured fresh horses from the Salish Indians. The Salish told them the Lolo Trail was the best route to follow over the mountains. Vacationers can parallel Lewis and Clark’s route north on US 93 and see the rugged beauty, vistas, and historic sites along the way. The Corps of Diccovery continued north to Travelers’ Rest, near present-day Lolo south of Missoula, arriving there on September 9, 1805. Three days later they began their trek along the Lolo Trail. Travelers’ Rest State Park is at this historic site and the Lolo Pass Visitor Center is on US 12. On I-90 northwest of Butte. Deer Lodge features the Grant Kohrs Ranch National Historic Site which still runs as an 1880’s working cattle ranch. The Montana Auto Museum features over 150 classic cars. The Old Montana Prison was built by inmates and was in operation from 1861-1979. The Frontier Montana Museum has an extensive gun collection along with Buffalo Bill Cody, Custer, Native American, Civil War, and World War II memorabilia. On I-15/I-90. Butte was known as the “Richest Hill on Earth” where copper, gold and silver were mined. Butte features the World Museum of Mining, Old No. 1 Trolley Tours, Granite Mountain Mine Memorial, the Copper King Mansion, Old Butte Adventure Historical Tours plus live theater and a distillery. On MT 1 and off I-90 west of Butte. Anaconda was the smelting city for Butte’s rich ore. “The Stack,” a 575-foot smoke stack, is the community’s landmark and state park. The Old Works, a Jack Nicklaus designed golf course, covers much of the old industrial complex. Anaconda is a gateway to outdoor recreation in the surrounding national forest and the Pintler Scenic Route, MT 1, which connects with Georgetown Lake, Philipsburg and Drummond. On MT 1. 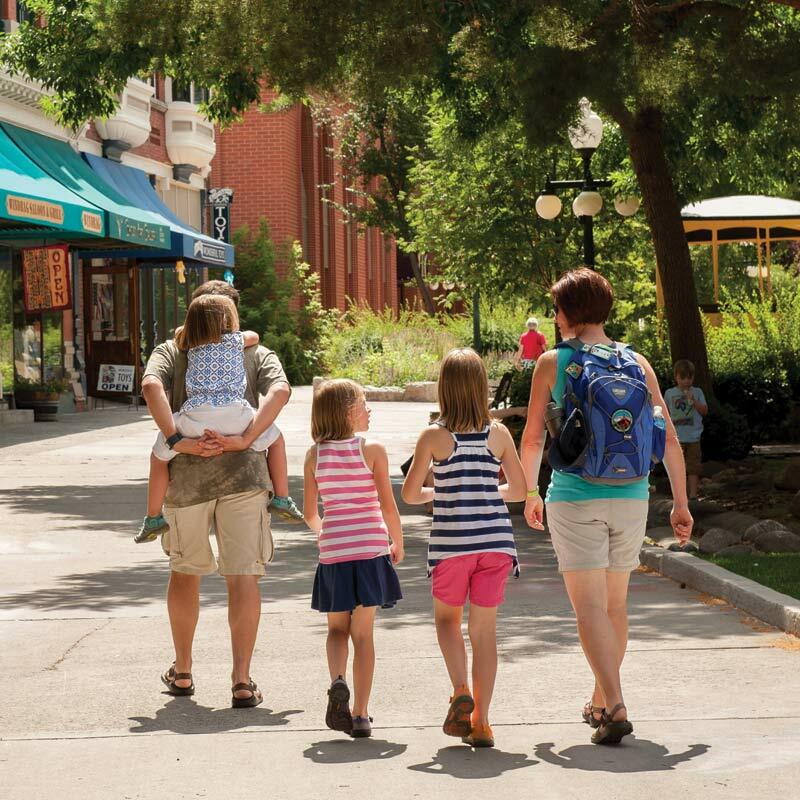 This distinctive historic mining community has been nationally recognized for its preservation and charm. Find a treasure at gift stores, dig for Montana sapphires, enjoy the same candy as you did when you were a kid, sip a float at an old time soda fountain, and enjoy a performance in the historic Opera House.